Janet Jackson speaks at 2018 BMI R&B/Hip-Hop Awards on August 30, 2018 in Atlanta, Georgia. Will this be the year Janet Jackson finally gets her due as one of the most important icons in music? After four prior nominations, will LL Cool J be formally recognized as one of hip-hop’s pioneers? And nearly 40 years after their last platinum-selling release, Masterjam, will Rufus and Chaka Khan finally take their rightful place in musical history? The votes will tell, come December 9. On Tuesday morning, the Rock and Roll Hall of Fame announced the nominees for its Class of 2019, including some of our longtime—and arguably long overdue—faves. So let’s look at Janet’s case: She ranked No. 7 on Billboard’s 2013 list of Top Artists in Hot 100 History. She has 27 Top Ten hits. She has three of the most influential albums of an era (Control, Rhythm Nation 1814, and janet. ), as well as some of its most iconic music videos. She has sold an estimated 160 million records. And she has influenced hundreds of major artists over multiple generations, including Britney Spears, Lady Gaga, Beyoncé, and Janelle Monáe. 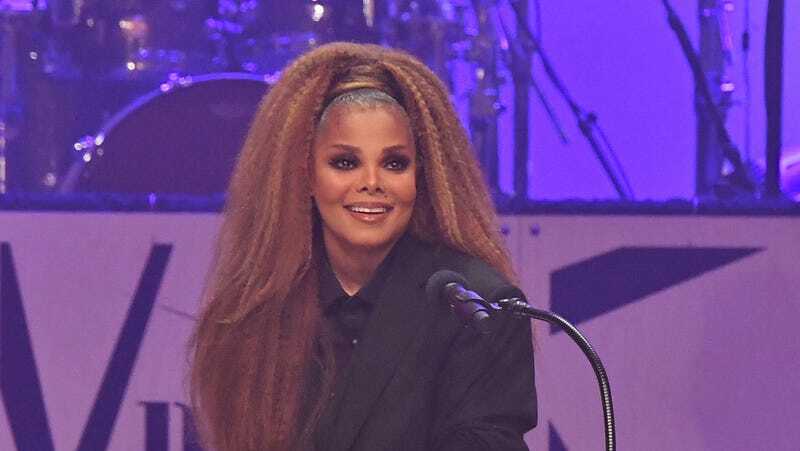 Musical luminary and RRHOF voter Questlove also campaigned for Jackson this year, using the social media-anointed #JanetJacksonAppreciationDay (otherwise known as the date of the 2018 Super Bowl) to remind us why she should have long been granted her place in the Hall of Fame. Coincidentally, Questlove’s long-running group, The Roots, became eligible for nomination this year. But before they get inducted, the honor is due to another legendary hip hop act, LL Cool J. Now with five nominations under his heavyweight belt, LL is among the most overlooked in this year’s class. We’re hoping this is the year RRHOF voters finally show him love. And how have Rufus and Chaka Khan not been voted in by now? The group released their last album together in 1983. But in their 13-year run as a funk and R&B supergroup, they amassed four gold and three platinum albums—no small feat in the pre-streaming days—and seven of their 12 albums hit the top 10 on the R&B charts. After being recognized last year, this is the group’s second nomination, and Chaka Khan’s fourth; she’s been nominated twice as a solo artist. Also in their second run around the sun with the RRHOF? Alternative rock pioneers Rage Against the Machine, whose racially mixed lineup and funk metal sound brought a colorful new face and unapologetically politically progressive message to rock music. Last year, the 2018 class of Rock & Roll Hall of Fame inductees included two long-overdue honorees: “high priestess of soul” Nina Simone, and rock pioneer Sister Rosetta Tharpe. Joining Jackson, LL, Rufus and Chaka and Rage Against the Machine in this year’s very diverse pool of 2019 nominees are Stevie Nicks, Def Leppard, Devo, John Prine, Kraftwerk, MC5, Radiohead, Roxy Music, The Cure, The Zombies and Todd Rundgren. Voting for the RRHOF Class of 2019 begins today, October 9, through December 9 at 11:59 p.m. EDT, with ballots cast among an international body of more than 1,000 voting members. But if you want to sway the vote, you can go to RockHall.com and cast one ballot per day in favor of your fave amongst this year’s nominees (visitors to the RRHOF in Cleveland, Ohio, can cast their vote in person). The top 5 artists selected by the public will comprise a ‘fans ballot’ to be tallied with the members’ votes. The RRHOF ceremony will take place on March 29, 2019, at the Barclays Center in Brooklyn, N.Y. Looking forward, aside from The Roots, other now-eligible acts we can rally for in coming years include OutKast, Fugees, and Snoop Dogg, as all released their first commercial records in 1993. Also be on the lookout for 2018 nominees Eric B. & Rakim, who were bumped from this year’s list.